Approximately 75 percent of Chiropractors entering school have bachelor degrees, on top of or including 90 hours of prerequisites. The DC curriculum consists of 4,200 minimum hours, similar to a medical school curriculum in that the colleges teach a broad based curriculum including differential diagnosis but emphasizes neuro-musculoskeletal conditions and biomechanical interventions over pharmacology. Chiropractic institutions embrace evidence-based care to make clinical decisions based on best available scientific evidence, clinical experience, and patient preferences. 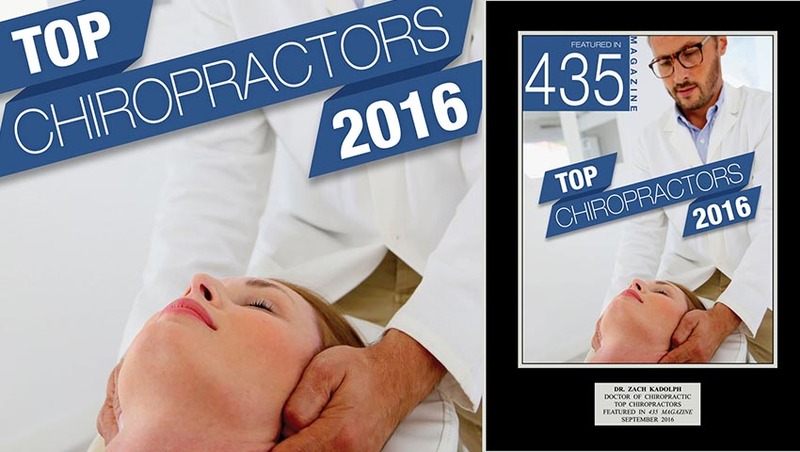 How old do you need to be to see a Chiropractor? Dr. Zach Kadolph of Select Chiropractic will treat people of all ages! With advanced tools and techniques, he can see patients from 1 day, to 100 years old! Can babies and children have Chiropractic adjustments? Yes, babies a day old can have a Chiropractic adjustment. "It is easier to grow a straight tree than fix a crooked one", many chiropractors say. We typically use a very light, gentle adjusting tool that uses the same amount of pressure on their spines as the weight of a dime produces. Adjusting babies' spines to reduce nervous system stress has helped a lot of our pediatric patients over come colic, sleeplessness, digestive issues, feeding problems, growing pains, and neuro-developmental challenges. Many daily activities and stresses can cause subluxations in children and it is important to prevent injuries or more permanent misalignment through regular chiropractic care to assist in all developmental attributes. Chiropractic is meant to be preventative care, just like going to the dentist for routine check-ups. What does a Chiropractic visit cost? All starting consultations, and most examinations are complimentary. A typical adjustment fee, depending on insurance coverage can range from $0-$50 dollars per visit. We offer convenient and affordable per-visit, and monthly payment plans. There are also multiple discounts, for military, service industry, and children offered. If parents are regular patients then kids ages 3 and under require no out of pocket expense at Select Chiropractic! Like most Kansas City area Chiropractors, we work with most insurance companies. As an added security at Select Chiropractic we offer the complimentary service of calling on your insurance and advising you about your benefits and coverage before you pay a dime. Call our office today to find out more details about your insurance benefits at Select Chiropractic Kansas City. Once you start going to the Chiropractor, do you have to always go back? No one is going to force you to go to the Chiropractor. We only want you in our office if you want to be here. We focus on adjusting the spine and adding other supportive measures like physical therapy, exercise, nutrition, and rehabilitation to get you pain free and maintain proper spinal health. Going to the Chiropractor for your spine and the rest of your body, is like going to the Dentist for you teeth. We will get your pain down, or gone, and recommend, if you choose to maintain your spinal health with regular checkups, which are usually once a month. Will I be adjusted on my first visit to a Chiropractor? 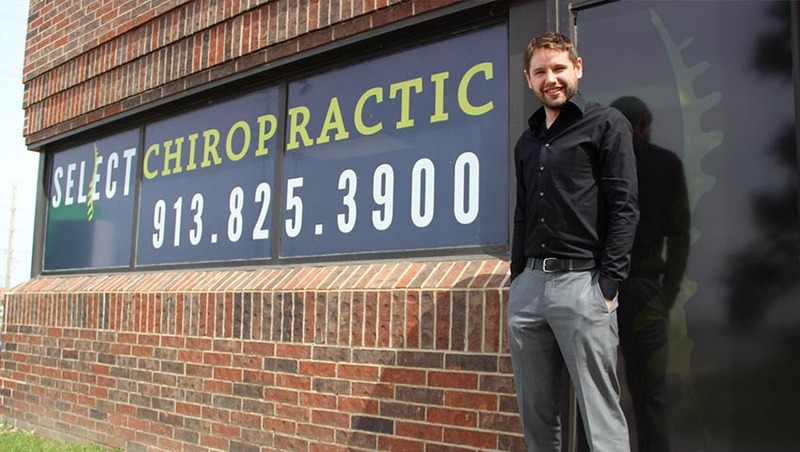 If Dr. Zach Kadolph does not adjust you or you do not wish to be adjusted on the first visit to Select Chiropractic Kansas City, he has an array of therapies to help ease your immediate pain other than manipulation. However, it is up to the discretion of the expert doctor to consider all special circumstances. The best quality of customized care will occur after Dr. Zach Kadolph has had time to review your exam results. What can I expect in the first session when I see a Chiropractor? t Select Chiropractic - Kansas City, Dr. Zach Kadolph recommends beginning with a Complimentary Consultation and examination to be able to better understand your goals, health history, and establish your needs. After a thorough discussion, Dr. Kadolph will then explain any recommended treatment that can vary from spinal and joint manipulation to proposed nutritional or dietary changes, etc. Once a treatment plan is agreed upon, Dr. Kadolph will then begin care, or assist in making sure the next appointment is scheduled for the proper treatment needed along with providing any documents or resources to begin immediate care. At Select Chiropractic, Dr. Zach Kadolph is respected and well-known for providing comfortable, gentle, safe, and effective adjustments. He listens and customizes each experience to meet each patient's unique needs to be able to accomplish his goals of making you feel better, faster, and lasting longer. Dr. Kadolph will only provide adjustments to your personal comfort level. What is that cracking and popping sound at the Chiropractor? The sounds that you hear when you get adjusted is pressure releasing from the joints in your spine. When your joints jam up and can't move properly the joint fluids and gases build up, and when we adjust them, the excess gas build up dissipates, it is NOT your bones rubbing against one another. At Select Chiropractic, we can adjust our patients with adjusting devices that do not require popping and cracking if that is the patients desire. How long will it take after a Chiropractic adjustment to feel better? Every patient is different. The length of time before you feel better depends on your history, body type, commitment, and the severity of your issue. Some patients find immediate relief, but others require multiple visits. Typically after the first few adjustments our patients will feel better for 1-3 days following, and after just a few more visits the patient should find a significant reduction in symptoms..
What symptoms and conditions can a Chiropractor treat? Chiropractic care is a non-invasive form of healthcare that treats the underlying issue, the root of the cause, instead of just treating the surface symptoms or masking pain with medicinal drugs. Dr. Zach Kadolph of Select Chiropractic can treat a range of ailments, symptoms and conditions or minimally provide you the tools and resources for the correct direction to treat those issues and concerns so that you can be healthy, happy, and feeling great. Set up your Complimentary Consultation to find out how your health concerns can be resolved or significantly minimized with Chiropractic care from Select Chiropractic.